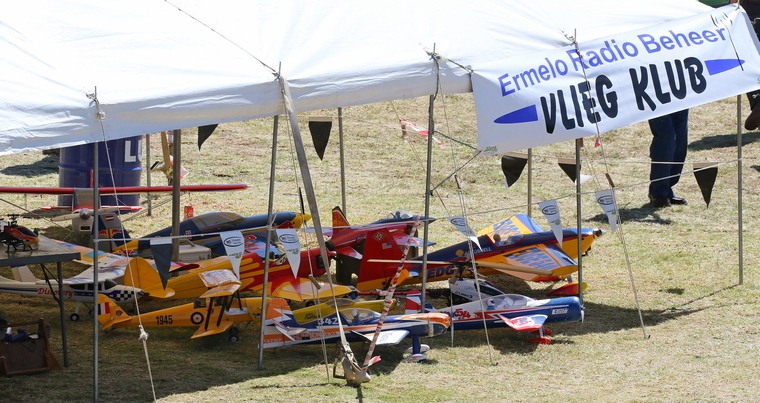 After an absence of a number of years Ermelo this year opened the air show season and what a show stopper it was! 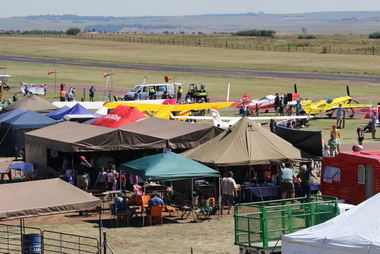 We arrived by midday Friday and the field, maintained by the Ermelo Aeronautical Society, was abuzz with activity as the final preparations for the Saturday's show was done. 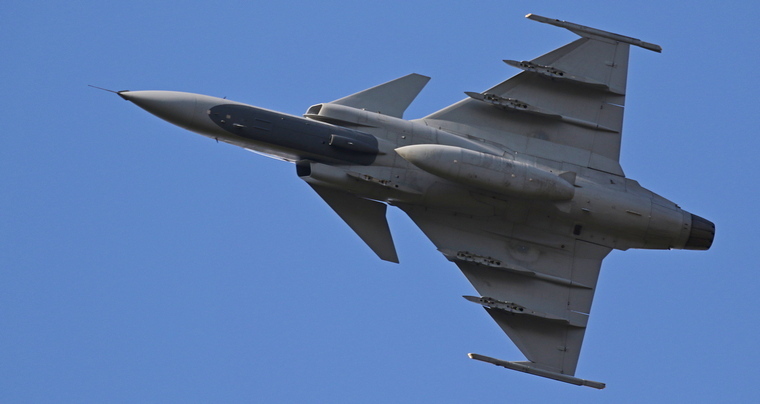 Exhibitors, and there were many, were putting the final touches to their stands whilst overhead a number of aircraft, including a SAAF Gripen were flying their validation sequences. 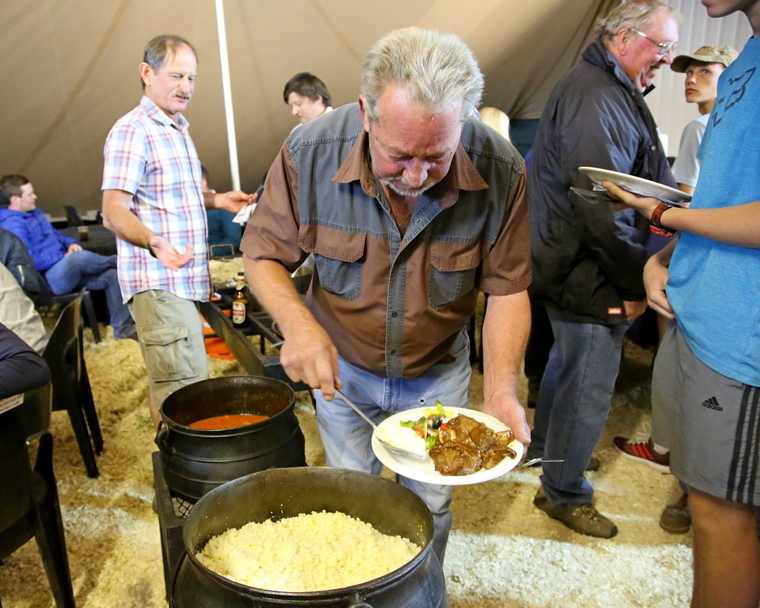 How organiser Andre van Rooyen pulled that one out of the hat only he knows. In the absence of RAASA media accreditation we as journalist were accorded VIP status and accommodation for one night was paid for. 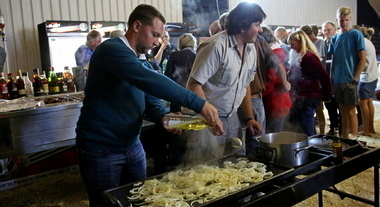 On the Friday all VIP's were treated to free refreshments and a meal, and what a spread it was. The way they treat their guests is what sets the country air shows apart from their urban counterparts. One sometimes gets the impression that some of the urban shows are there solely as commercial ventures where display pilots, exhibitors and others that contribute to the success of the event are simply seen as necessary evils. 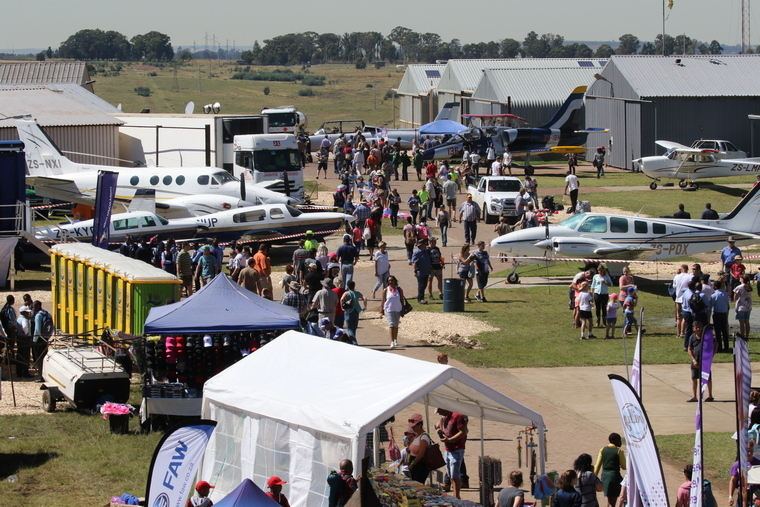 In contrast country shows are organised by aviators with a love for aviation who want to share their passion and realise that without the contribution of the display pilots, exhibitors and others that are all essential components without which no air event can take place. 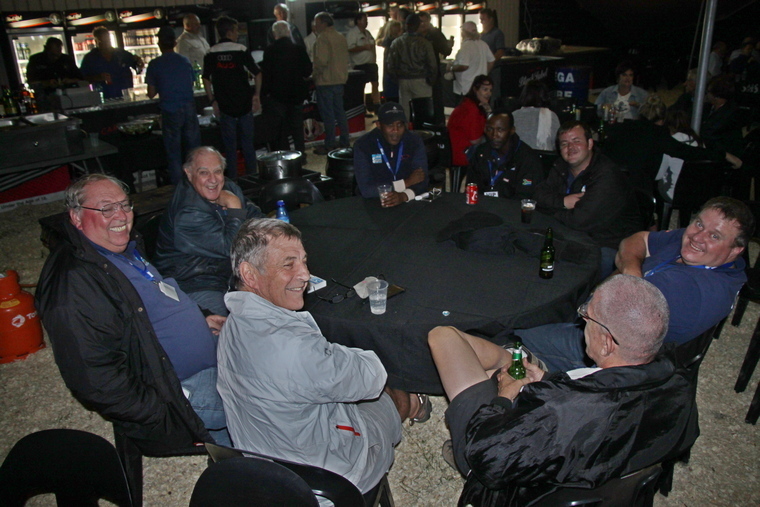 The pilots briefing commenced at 10h30 and the show was started at 11.OO. From the first act, a demonstration of radio model flying by members of the Ermelo Radio Model Flying Club it was clear that this was a show that will tick all the boxes. From then on it was fast pace action all the way, one incredible act following the other with barely a pause. It's been a long time since we have been to an air show where there were no noticeable gaps between displays, one act following the other seamlessly. A general view of the well planned layout of the airfield before the air show commenced. 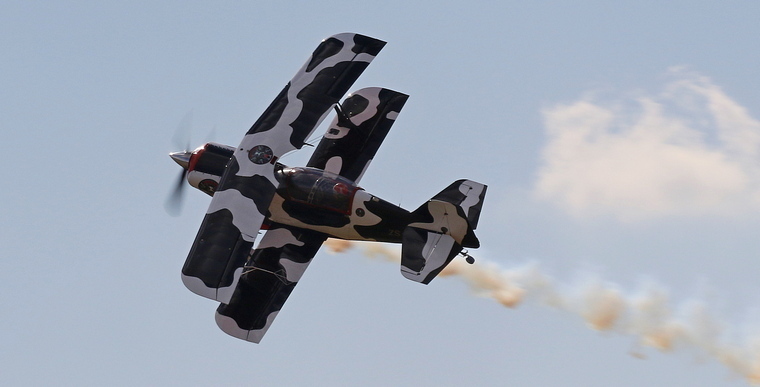 At Ermelo it became clear that the air show performers and teams have since the end of last season put in a lot of work in new and fresh routines. Nigel Hopkins, Andrew Blackwood Murray and Neville Ferreira's routines were always excellent but are now even better and will no doubt leave the crowds in awe as the season progresses. After a number of years flying with sponsorship from Torre the Pitts Special are now sponsorship by Tailifts and feature a new paint scheme that represent CHOC (a charity that raises funds for children's cancer treatment). 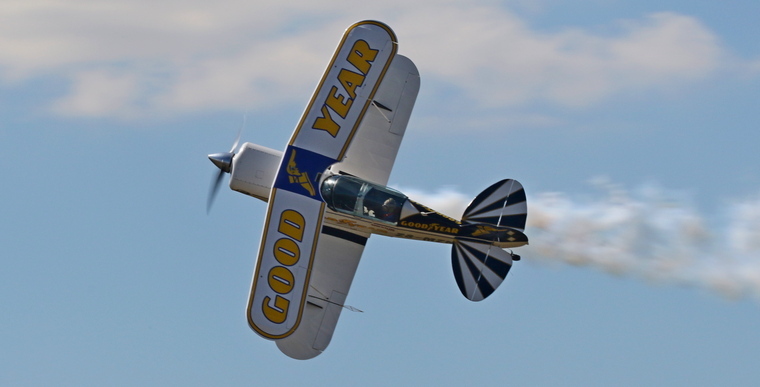 The Flying Lions still retain their Puma Energy branding and so does the Goodyear Pitts Special. The van der Schaar's Stearman also retains its Randolph sponsorship with some additional support from Pilot's Post whilst Andrew' Blackwood Murray's Extra still looks splendid in its Nashua branding. 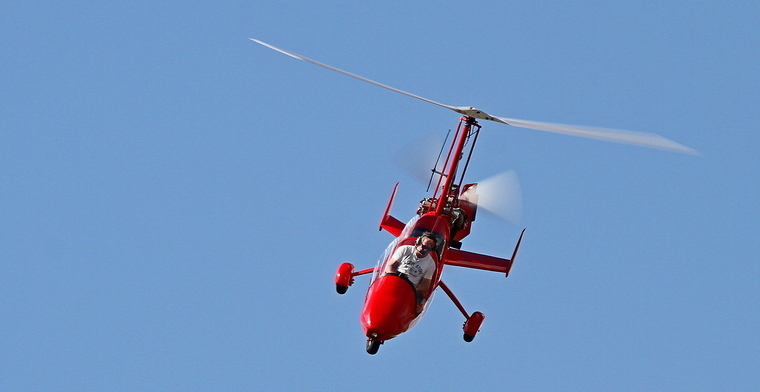 Brakpan based Mathew Zalewski in his Magi Gyro never ceases to amaze. 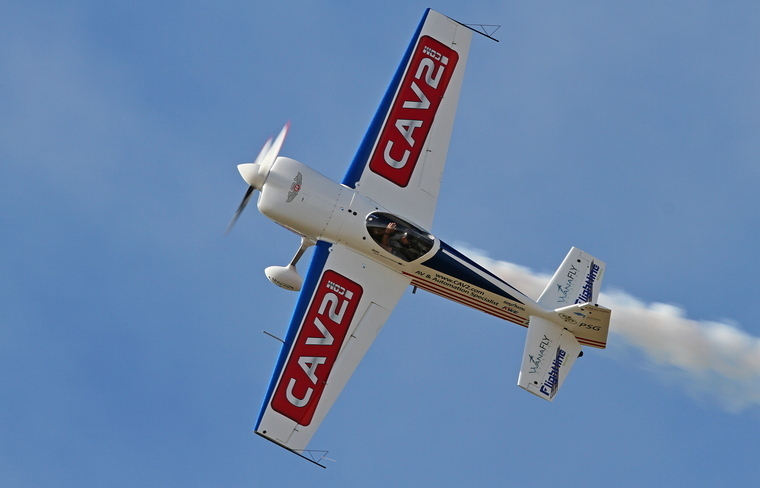 Neville Ferreira in his Slick 540 introduced a whole new high energy display that elicited much applause from the crowd. The Special Forces was taken aloft in the Just Love Mission's Antonov AN2 little Annie after which they landed with pinpoint precision, much to the delight of the large crowd at show centre. 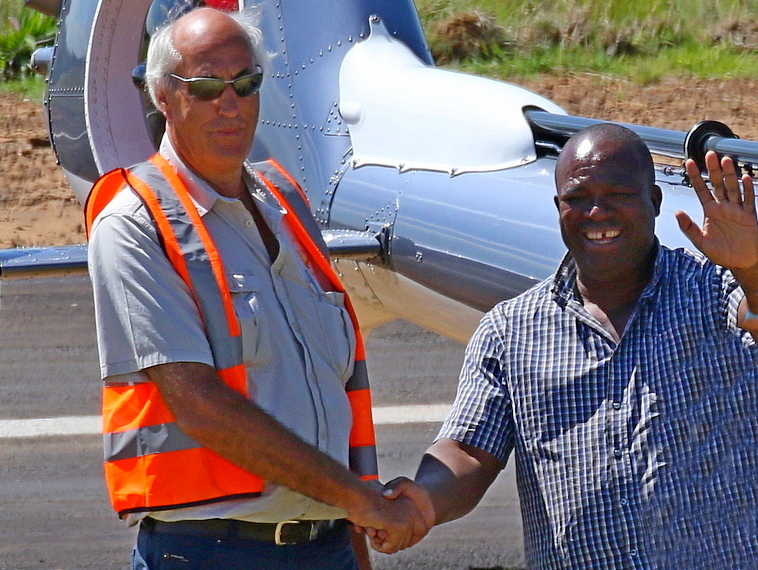 Johan 'Juba' Joubert flew the Aerospatiale in two incredible displays as well as ferrying the Gert Sibande Local Municipality Mayor and dignitaries to the show. The Mayor during his speech revealed that plans are afoot to upgrade Ermelo Airfield to regional Airport status. 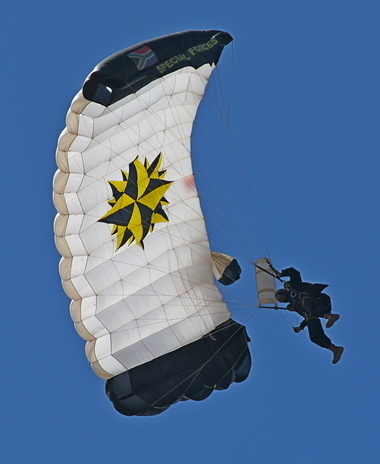 The Just Love Mission's little Annie flown father Mark Hill and son Jean-Marc was a busy girl besides flying dropping the special forces twice and also flew two stately displays. 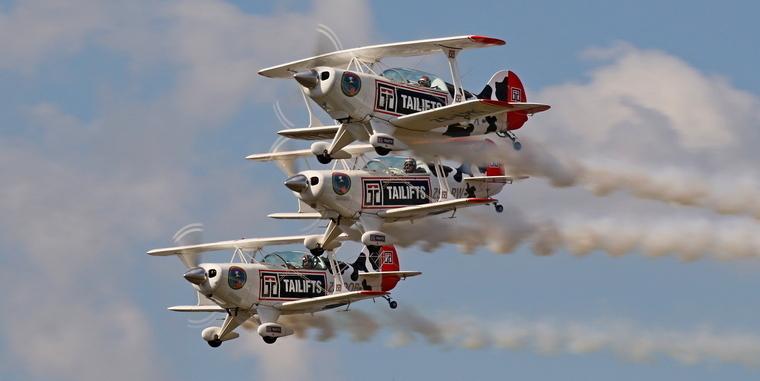 After a number of years flying with sponsorship from Torre the Pitts Special flown by Scully and Ellis Levine, Sean Thackwray and Arnie Meneghelli are now sponsorship by Tailifts and feature a new paint scheme that represent CHOC (a charity that raises funds for children's cancer treatment). EX SAAF Fighter Pilot and now training captain at Comair Glen Warden showed to perfection the flight envelope of the Aerovodochody L39. 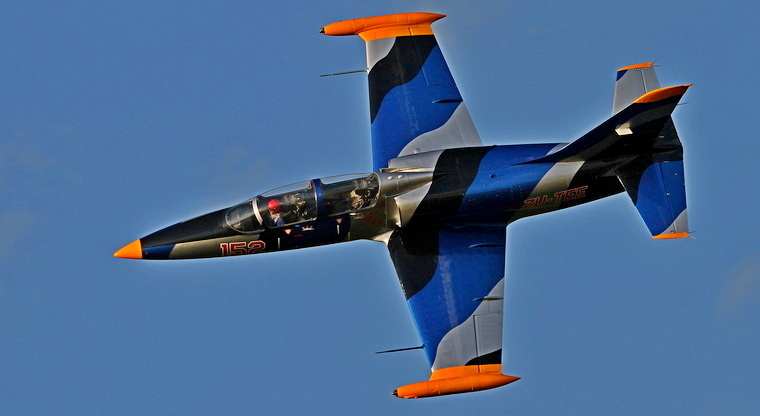 Glen later flew a sequence of passes in the company of Richardt Lovett in his almost identically painted L39. 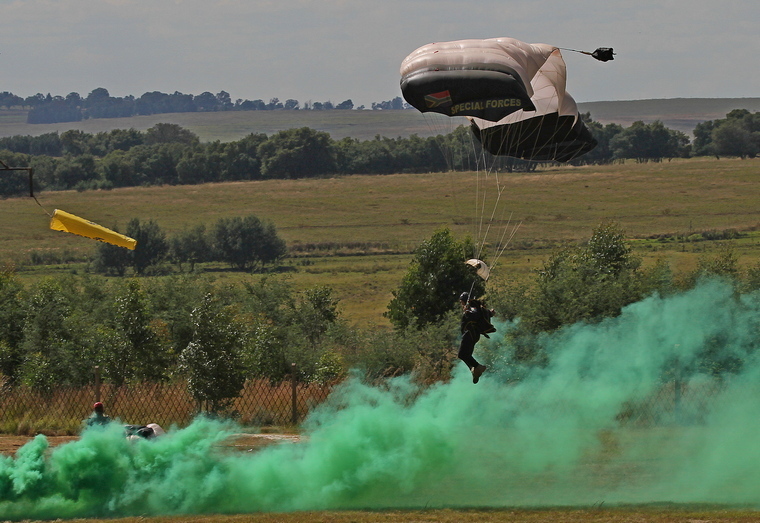 Team Extrem, Nigel Hopkins, Mark Sampson, Mark Hensmann and Jason Beamish performed their high power, high impact routine that filled the sky with smoke and the noise of high power aircraft engines. 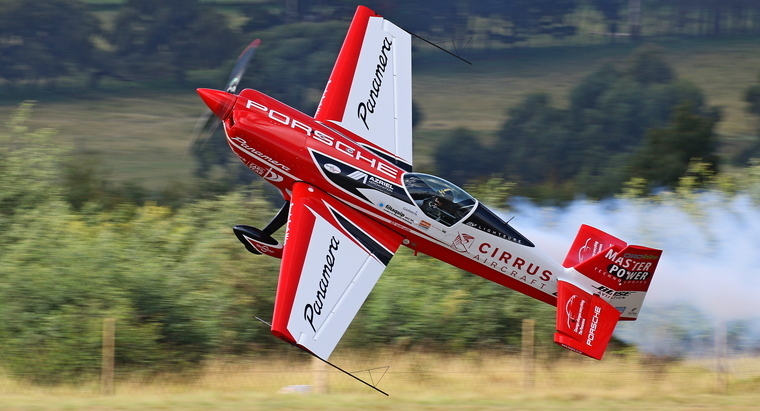 Nigel Hopkins Master of the knife-edge in his Extra 330SC sponsored by Porsche, Cirrus and MasterPower Technologies amongst others performed his riveting display that had all eyes lifted skyward. The Mayor arrived in the Gazelle flown by Juba Joubert while the Harley Parade was in progress. 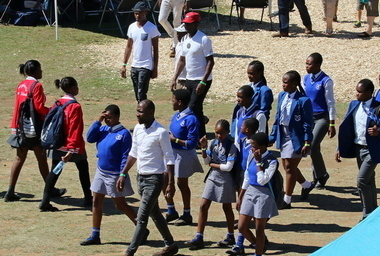 The Mayor, during his speech mentioned that more than 600 children from previous disadvantaged areas were in attendance at the event. 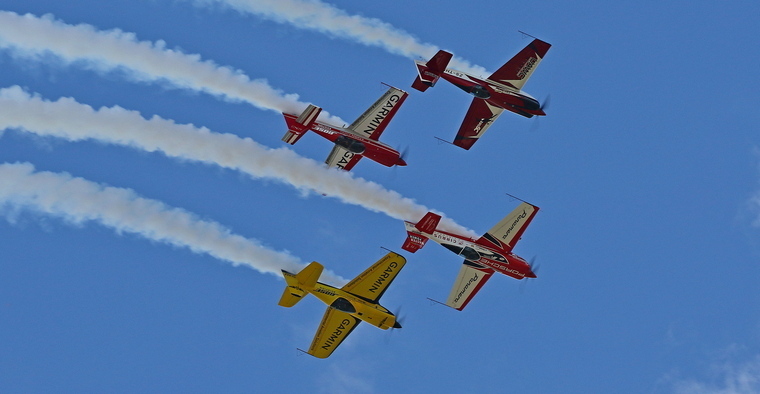 Three of the GoodYear Pitts Specials, the oldest continuous aerobatic formation display team in the country with Johan von Solms, Glen Warden and Paul Coetzer flying showed their skill during their display. 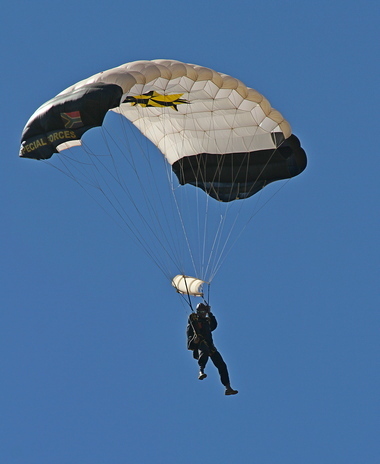 Ex SAAF fighter pilot and Denel test pilot Mike Weingartz flew the ex SAAF Atlas Impala owned by Dawid Laas. ZU-IMP was the last of the twenty Impalas to be delivered to the SAAF on 3 June 1966. The legendary Puma Energy Flying Lions Harvards display team consisting of Scully and Ellis Levin, Arnie Meneghelli and Sean Thackwray took to the skies to display some their daring feats and magnificent skills at close formation flying. The team did three displays during the show including a dusk show as the sun was setting. Ivan van der Schaar who paid for his flying lessons by washing aircraft and is now a captain on the Boeing 737-800 at Comair displayed their restored WWII Boeing Stearman sponsored by Randolph sunglasses and Pilot's Post. 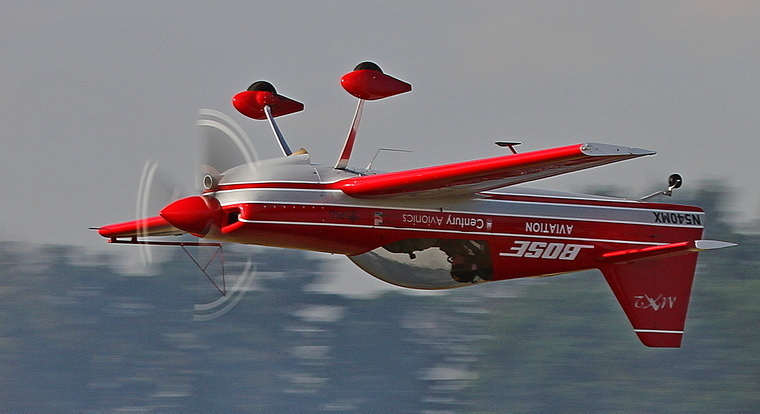 Andrew Blackwood Murray flew an immaculate display of competition aerobatics in his Nashua sponsored Extra 300. A SAAF two seater Gripen piloted by Major Vundla, call sign Doberman and Lt. Col. Mark Wilson, call sign Bluebird based at Makhoda AFB performed a number of passes including a high speed fly past and another in the dirty configuration before climbing like a home sick angel to depart back to base. 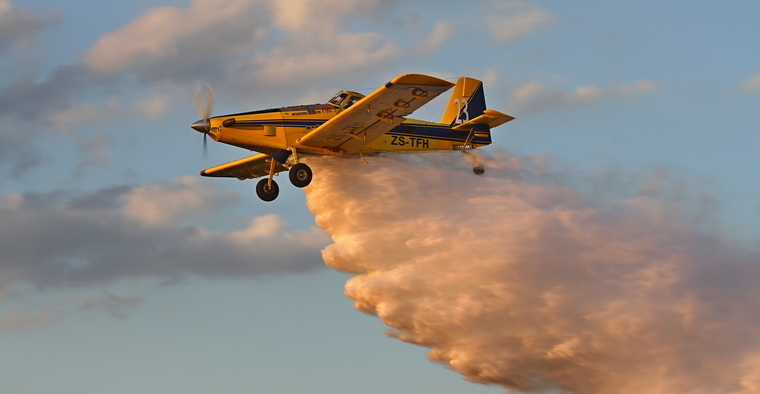 Bevan Harris displayed the firefighting capabilities of the Kishugu Working on Fire AT802 Air Tractor dropping 3000 litres of water along the runway. 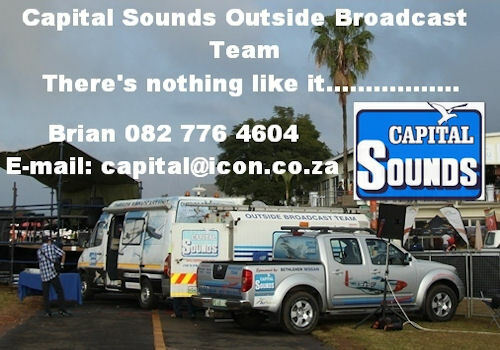 Ensuring that things ran smoothly and safely were display directors Johan Heine and Trevor Viljoen and safety officer Pete Graham whilst the Capital Sounds team kept the crowds informed and entertained. 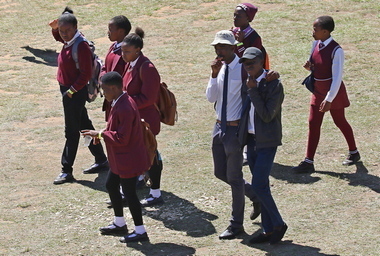 The unenviable task of controlling the gates and marshalling the visiting aircraft and answering a myriad of question from visitors were performed with a smile and a friendly word to all by members of the Ermelo Aeronautical Society. What a friendly and hospitable people the good folk of Ermelo are! 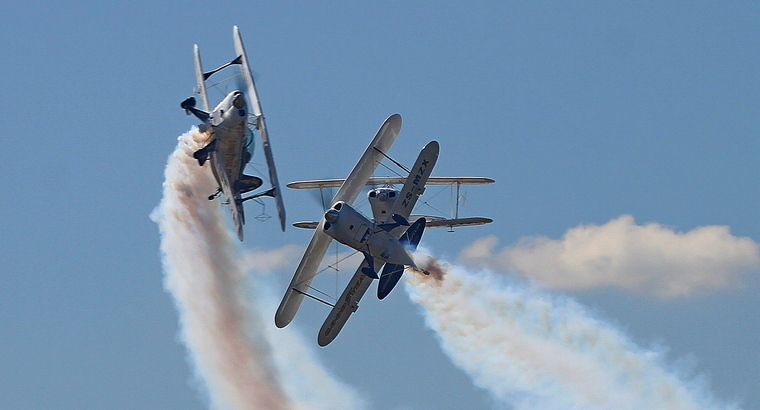 Organising an Air Show especially in today's economic climate and facing the reams and reams of documents to be completed to satisfy the requirements of the alphabet soup of organisations and controlling bodies is an undertaking not for the feint hearted. 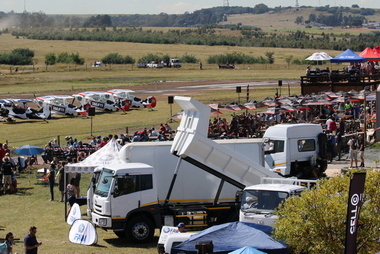 Taking on that task was Andre van Rooyen who with the support from the dedicated aviation members of the Ermelo Aeronautical Society and generous sponsorship from FAW Trucks South Africa as well as the Gert Sibande Local Municipality, were able to put together a show of the highest quality.